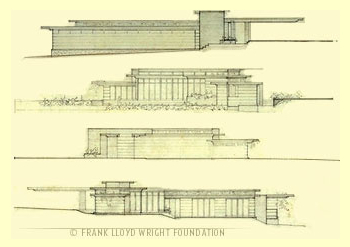 In 1936, Frank Lloyd Wright developed a series of homes he called Usonian [link]. Over about a 15 year period, he build a hundred plus of these structures all over the United States. The prototype to the Usonians was the Willey House [link] built in 1934. 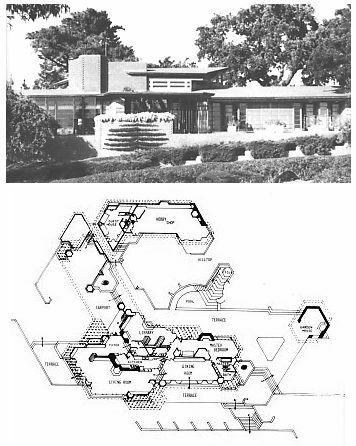 The Jacobs house (shown in the above masthead and below) was the first Usonian. It was built for $5,500 including the architects fee. 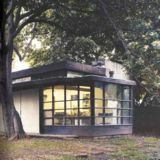 Mr. Wrights intent was to develop a grammar and construction method for the production of simple, affordable, beautiful houses. In recent years, these works have been the subject of renewed study because they stand as eloquent solutions to a most complex and elusive architectural problem: the affordable single family dwelling. Personally, I consider the Usonian house - as a class - to be one of the most successful examples of the architectural art - and practice - in modern times. These homes were simple: concrete floors, natural wood walls, brick masonry piers and fireplaces. 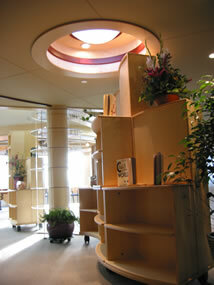 Yet, they provided a vast variety of different solutions and fit well into a number of different settings and climes. They produced a band of loyal owners unlike anything I have seen since. They provided high quality environments for teachers, writers, small store owners - average income earners, who before, could not dream of owning an architectural masterpiece. 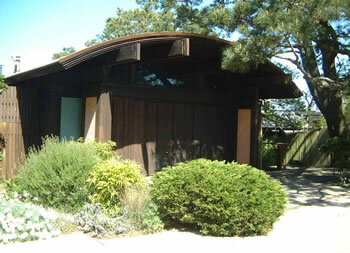 The first Frank Lloyd Wright house that I ever experienced was a Usonian - the Hanna House built at Stanford University. 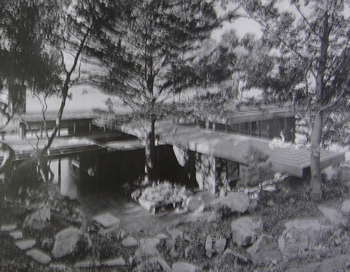 Dr. Hanna devoted a large part of a Sunday morning, one spring day in 1953, to showing me his house, describing his experiences with Wright and how the house was designed to evolve as his requirements changed over the years. This house evolved as the Hannas requirements, lifestyle and income did. It started off as a middle-class dwelling for a young family, and became, over a twenty year period, a spacious, eloquent home for a successful professional couple. The first small Master Bedroom became the Hannas study; the three childrens Bed Rooms morphed into a new Master Bed Room; and the Family Room became a large formal Dining Room for entertainment. A shop and garden room was added as income allowed. All this was accomplished with minor reconstruction; the entire scope of work having been programmed, and structurally provided for, from the beginning. This introduction to Wrightian philosophy and work totally mesmerized me. The Hanna House was built on an hexagonal module that was scribed into the deep red, waxed concrete floors. This was the first time that I was introduced to the use of Prospect and refuge in the creation of architectural space. Wright was a master at this and could make the smallest space both fit human scale and go on forever. The house was not large but one space flowed into another creating infinite variety combined with the sense of pervasive shelter. Being in the Hanna House is like living in a forest - ever changing, minute to minute. Professor Hanna was clearly in love with his environment which evolved with him and Mrs Hanna as they raised a family and built individual careers. I could see that it had become an integral part of their life and that living in it had deeply effected their view of life. He talked about the impact the environment had on his children as they were growing up. This morning was a magical introduction, for me, to the precepts and reality of organic [link] architecture. 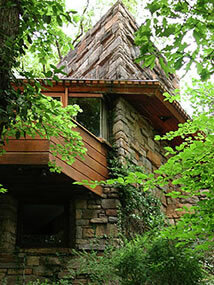 During my time at Taliesin, I was able to talk to many owners of Usonians. They talked about their environments with unreserved passion. It was from one, Mrs. Pew, that I learned the true secret of Mr. Wrights genius and success. 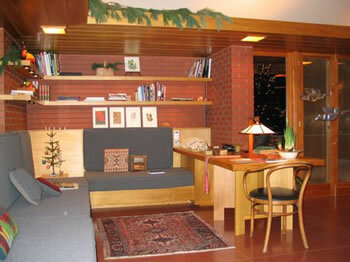 NavCenters apply Usonian principles to the workplace. The AI WorkFurniture grammar is a direct descendent of the way that the Usonians were both built, structurally, and furnished. This is extending the lessen I leaned from Mrs Pew: that a way-of-living can be expressed as a way of working. These ideas are explored in The Usonian Workplace [link]. The typical North American home, today, is bloated in size and nostalgic in style. This is not affordable to the individual family, nor over the long run, to the planet. This housing has been kept in place by insane “creative financing,” short term “economics” and the determined effort to ignore social and ecological consequences. It is time for the concept of housing to be recreated. The typical office environment is a strange combination of cheap “rental” real estate [link] (where most actually work) and grandiose flash and blatant brand exploitation (in lobbies and common areas) combined with the misapplication and underutilization of modern technology [link]. It neither inspires nor augments knowledge work [link]. I spent an afternoon with Mrs. Pew in her house, in 1958, and consider that day to be one of the seminal experiences in my development. The idea that an environment could facilitate the evolution of a life was extraordinary in its implications. It was not a great leap from this lesson to think of the environment facilitating work; a way of life and a way of working [link]; this idea of a transforming workplace [link] is just now, in 2004, finding a full expression in built projects - prime examples of which are the Vanderbilt Children’s Hospital Executive Offices [link] (which, unfortunately remained un-built) the Collaboration Studio for masters Academy and College [link] and the World Economic Forum’s WorkPlace and RDS [link]. 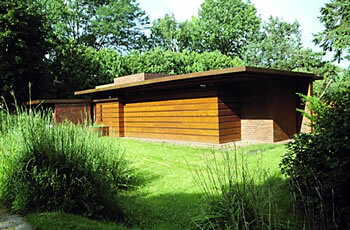 The Roland and Ronny Reisley Usonian was build in 1951 in a Wright designed community in New York [link]. This development is probably the most successful of several attempts on the part of Wright, his clients and several apprentices to build a sustainable community based on Usonian ideals. The story is told well in a fasinating book by Roland Reisley Usonia, New York: Building a Community With Frank Lloyd Wright [link]. 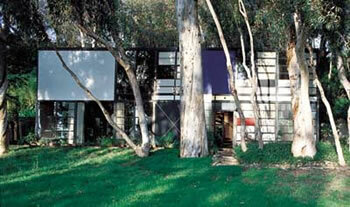 For an extensive online list of Usonian references go to Answers.com [link]. 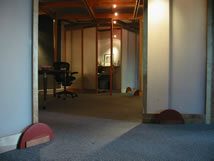 There were other architects and developers that took on this task of providing great works at low costs. Bruce Goff [link] produced many successful and very unusual pieces in the 40s and 50s. Gordon Drake had a brief, brilliant career after World War II. Architects Charles Eames [link] and Raphael Soriano [link] explored the possibilities of steel and build surprisingly warm structures with this difficult material. 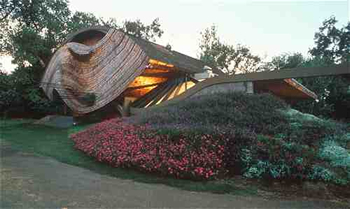 Architects like John Lautner [link] carried on and build an amazing number of works some of which were small and compact. 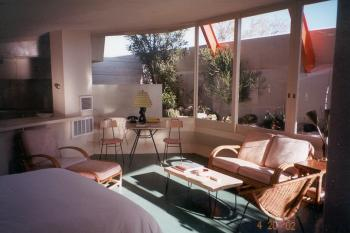 The Desert Springs Motel [link] is a great retreat place [link] where you can experience a Lauter environment [link]. The Case Study houses sponsored by Art and Architecture magazine generated intense interest in small, affordable houses [link]. And then, there was Rudolph Schindler without doubt one of the most under-rated and greatest architects of the 20th Century. 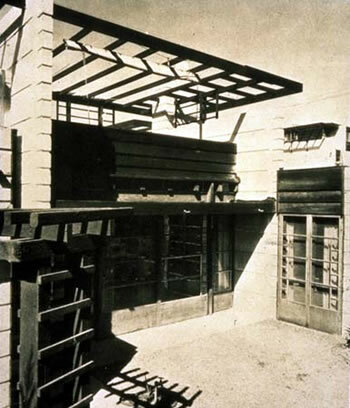 Rudolph Schindler [link] built a number of wonderful and inexpensive homes in Southern California during the 30s, 40s and 50s. Schindler’s own home predated much of the Unsions grammar by nearly a decade. 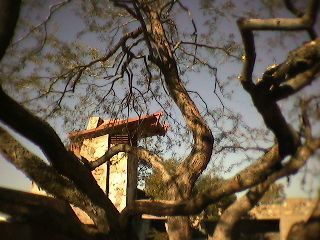 Along with him was Lloyd Wright [link], another highly under rated genius. In the Bay Area, there were a number of architects that worked with great success: Wurster [link], Bernardi and Emmons [link], Jack Hillmer [link] and Warren Callister [link] among them. More than any single architect that I can think of, Warren gave fresh expression to the “bay Area Style” [link] [link] started by Maybeck [link] [link] (go to [link] for his materpiece) and others [link] at the turn of the 20th Century. In terms of volume, however, the developer Joe Eichler [link] outpaced them all. 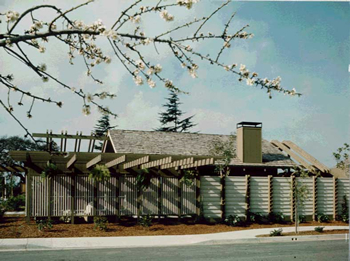 I met Eichler when I first moved to Palo Alto in 1953 [link: 1953 and the tower]. His work and his passion for it impressed me greatly. He took more joy in what he was doing than any developer I have met since. One day, he gave my mother and me a tour of several of his subdivisions. In retrospect, what this man accomplished seems like a miracle today. Joe Eichler built thousands of homes in what, today, is Silicon Valley. 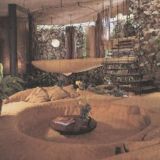 They were simple and were inspired by Frank Lloyd Wright: standard materials used well, privacy toward the street, radiant floor heating, floor to ceiling glass looking into indoor/outdoor spaces, high open ceilings. 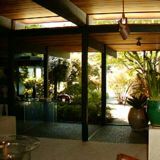 Although these Usonian principles were used by Eichler, he followed another architectural idiom: the more casual California post and Beam construction style. He hired, challenged and turned loose a new generation of architects, Anshen and Allen [link], and, A. Quincy Jones [link] [link] among them. In short time, a new framework was developed and to this day an Eichler stands for a distinct definition of lifestyle and architecture. A book chronicling his many successes has recently been published: Design for Living - Eichler Homes (Chronicle Books, San Francisco) - it is a fine tribute to one of the best developers that ever worked. Sadly, these fine homes are now worth 500 to 750 thousand dollars - or their land is - and they are being decimated by inappropriate alterations and additions, and in many cases, being torn down [link] to be replace by bloated boxes of dubious character. 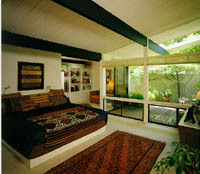 For a through review of Eichler’s work go to John Fyten’s web site story [link]. This is one of the best overviews that I have found. 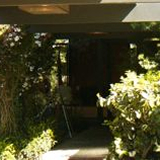 A number of Eichler related links can be found at Eichler Re-Mod - Adventures in DIY Remodeling [link: eichler.kimio.com]. No matter their differences, what all these architects, designers and developers and their works have in common is a dedication to building an environment based on a singular view of human lifestyle: simple, uncomplicated, natural, eloquent, affordable [link]. These are not trophy houses which is why they are so vulnerable today. All of these works sought to rethink what a single family dwelling should be, and together, constitute a movement that has come and mostly gone but, I think, is returning [link]. 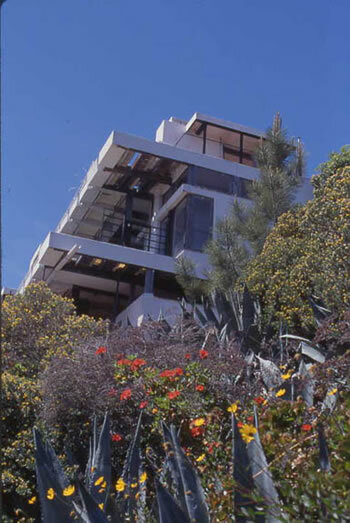 They flourished in an unique period of American history and mostly, with the exception of Wrights work, in an unique place: California. Their basis was a notion of lifestyle that stands, today, in sharp contrast to an over-consumptive and compulsive culture. In a brief period of time - mostly three decades - a complete cannon was laid down. I do not know what is more surprising - that it was done in the first place or that, once accomplished, so little remains of the practice today. In the 60s and 70s, there were several attempts to revive this movement mostly driven by ecological, energy and related issues. This included a strong do-it-yourself movement. To a great extent this also has mostly faded. Unfortunately, the affluence of the 80s, and 90s has not been generally kind to the American landscape. In the years that I first lived in Northern and Southern California 1952 to 1961), I used to go and visit these houses and wonder - I still wonder: what sparked their creation, what allowed the majority of work to go another way despite their enduring popularity to this day? Today, there are many branches of the Organic School of architecture. Bart Prince [link] who has inherited Bruce Goffs work and the Jersey Devils [link], who design-build, are prime examples. Fay Jones [link], gone now, did wonderful work - mostly churches. Arthur Dyson [link] has built a number of fine works in Fresno, California and now is receiving very large commissions. Here and there, all over the world, great works are being created. They remain, however, out of the financial and organizational reach of most people. In all, there are about a 100 or so architects that consistently practice some variant of Green or Organic Architecture many of whom pay attention to small and compact housing. The San Francisco Institute of Architecture [link] and the Frank Lloyd Wright [link] School of Architecture at Taliesin, together, have an enrollment - at any given time - of about 100 students. This is out of a base of about 80,000 plus architects practicing in the US. Given the scale of development and the wealth in our society, the percentage of truly fine architecture - in proportion to what is being built - is on the decline. On an absolute measure, I expect it is on the rise. Architecture that can be considered green is also an extremely small percentage of the whole. This is particularity true at the low end of the building cost range. However, there are places where building “green” is becoming the standard. Sadly, however, given the scale and scope of development, green practices alone will not be sufficient. We are, if we like it or not - recognize it or not - entering into the era of planetary architecture [link]. There is little, in commercial housing today, carrying the tradition of the Usonian home, the Eichler house and the many other post WWII examples. However, in the realm of custom homes, there are significant exceptions to the rule. Sarah Susanka of Mulfinger, Susanka, Mahady and Partners and her associates are exemplars. She has co-authored The Not So Big House [link], published by Taunton Press [link], and it is a feast for the eyes and soul. The New Cottage Home by Jim Toplin documents another path to simpler living. He has established a network [link]. The insightbuilders website lists many resources [link]. Recent developments in cob, compacted earth and straw bail housing, augmented with solar, abounds - particularly in Northern California where I live [link]. Bahl Homes in Mountain View, California has build a number of modest size patio homes that reflect this philosophy [link:Bahl Patio Homes]. Below is a home they built in the early 70s. Here is a classic Usonian design and built by Tim Sutton for himself and his wife Marion in Ohio - it was completed in 2005. 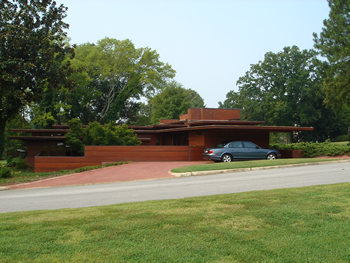 Click on the picture to go to a Gallery of this very well done project which illustrates many, many of the features of the Usonian ideal and way of living. Tim is a retired architect and this work shows his 50 plus years of experience in every detail. This project is interesting in many ways. It is an extremely true rendering of a traditional Usonian while at the same time employing appropriate modern means and meeting contemporary requirements. 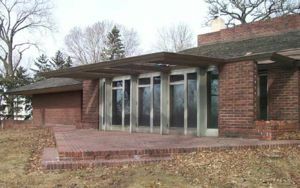 As a 21st Century project, it shows that the Usonian concept is still viable and can be accomplished. I do not know details such as cost - these are things to hear about from Tim. 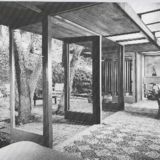 His web site [link: usonian red house] walks you through the history of the project and provides a narrative about the experience of living in this superb environment. This is clearly a work which Tim wanted to do for most of his life. A great deal of care and passion went into this piece. It is good to see it done. As I note often in my architecture Notebooks [future link], one of the most disconcerting aspects of architecture today is it loss of material quality. The Usonian Red House is a reminder of what can be done with basic materials and the sense of place which can be made by their proper employment. Affordable domestic architecture [link] remains one of the great challenges facing architects. The need for the recreation of this body of work has never been greater nor have the opportunities been better. This issue has to be placed back on the designers agenda and the solution will surly evolve only out a close integration of the Design-Build/manufacture-Use process [link]. You cannot build affordable housing if over 50% of the cost and 65% of the calendar time invested is non-value added waste. This is a ValueWeb [link] and supply-chain challenge. A better method of building is required and and new method of contracting, financing and selling is necessary. A new practice model [link] is required. The housing industry is dominated by UpSideDown Economics [link] - this fact drives the design process more than any other single factor. Structure wins. The entire real estate development and management process [link] has to be re-created - it is broken [link] now. However, new methods [link] of designing and building and new methods of organization can combine to bring great architecture back to a far larger number of our population. Re-integration of design/build is a start. Chandler Construction [link], among others, is doing this. There is no excuse for ugly, energy inefficient, ecologically taxing, lifestyle impoverishing buildings - no matter what the budget demands are. Green building [link] is necessary - and possible. For some of the problems associated with affordable housing to be solved, new codes (and a new non-government code method), development practices and building types will be required. Communities and community living [link] will have to be reintroduced. Ken Norwood (Rebuilding Community in America) of the Shared Living Resource Center in Berkeley, California (800 475 7572) has explored this ground. The postUsonian Project will look at the entire structure, technology and process of creating, owning and living in the basic home. It will go back to the earlier work and start a new evolution from these successful beginnings. It will assemble a new society of cathedral-builders [link] dedicated to the creation and practice [link] of daily life as a living art. This will require a ValueWeb [link] devoted to this challenge. It will follow the general process of the swimming pool method [link] I pioneered in the 60s. This will be a design-build-use [link] practice that draws on what has been learned, at MG Taylor, in the realm of workplace creation. It is not too soon to start building this WEB. Anybody interested? This is a serious question. Who is ready to begin? A blog has been set up to create a ValueWeb capable of recreating the Usonian concept - if you are ready to act, join the BLOG [link], add your thoughts and/or email [link] me. Four projects, that in one way or another will advance our knowledge and capability are being prepared for prototyping [link]. 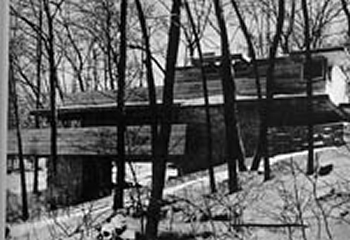 And now (2005), a fifth one - not a Usonian but a project that will prototype many useful building techniques [link]. One comment that Mr. Wright made again and again was “until we have an organic culture we will never have an organic architecture.” His point is that architecture is the result of the choices individuals make and it expresses the culture they make up and in turn are influenced by. 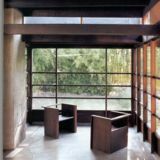 The Usonian house is not just another way to “style” a building - it is about a different way of living; a way that, today, is alien to the mainstream of our American culture. The usonian way is about relating differently to the Earth, to life and to all living beings - it is an integrated, natural life-style. Sustainable, evolving, sensory, engaging - it is to be surrounded by beauty and to live in harmony.